Flu season has arrived. At Complete Health Partners we are seeing many positive cases of flu at our urgent care/walk in clinic. Activity is still quite limited, but we expect to see a peak in the flu after everyone gathers for the holidays. Below is some helpful information about this year’s unique flu season. This fall and early winter, we are mostly seeing Type A flu, but that does not mean Type B strains aren’t circulating. The most common symptoms are severe body aches, high fever, headache, sore throat and cough. Some have had vomiting and diarrhea, but these are not common symptoms. 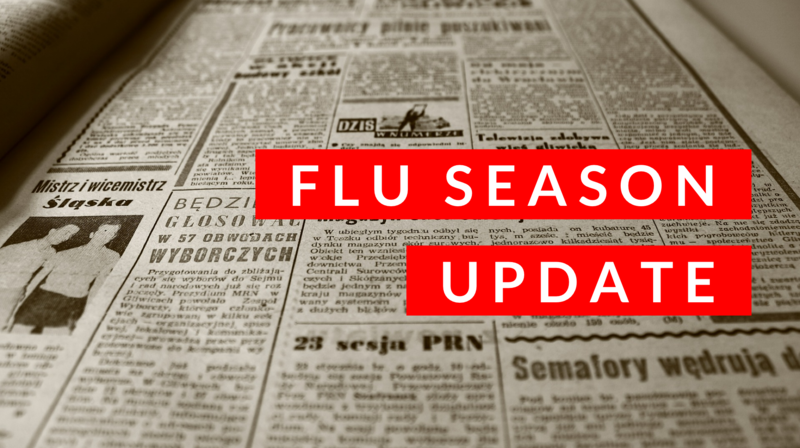 The US flu season peaks from December to February, so we expect to see an increase in cases for the next few weeks. Health officials use information from Australia’s flu season, which runs from May to October, to predict trends for the American flu season, which runs from October until May. Australia had a mild flu season this year, and the H1N1 strain that was most prevalent had milder symptoms than the H3N2 strain that caused severe symptoms last year. We won’t know exactly what to expect until we start seeing increased flu activity, but hopefully the United States will mirror Australia’s milder season. We keep an eye on the CDC’s flu activity tracker each week to understand the flu patters in Nashville and the US. You can follow activity here: https://www.cdc.gov/flu/weekly/fluactivitysurv.htm. Because the common flu shot that is made with eggs is more effective against H1N1 strains than H3N2 strains, and the predicted most common strain for 2018-2019 is H1N1, we expect that the flu shot will be highly effective this year. While getting the vaccine doesn’t guarantee prevention from getting the flu, it can minimize its severity and help you avoid a hospital stay. We recommend flu shots every year, but if you haven’t gotten your shot this year, use this as additional motivation to get protected! Remember that it takes two weeks after vaccination for your body to build up immunity from the virus, so don’t wait until you are exposed to the flu to get your shot. Flu shots are still available at Complete Health Partners and most local pharmacies. If you think you are sick, stay home to prevent spreading illness to others. Keep hand sanitizer & sanitizing cloths handy during flu season to keep hard surfaces clean. The flu virus can live on hard surfaces for up to 24 hours, so if someone with known flu has been through your home or office, wipe down phones, doorknobs, desks and bathrooms. Wipe down grocery cart handles with sanitizing cloths – most stores now offer these at the entrance. Unfortunately you can spread the flu up to one day before and up to seven days after experiencing flu symptoms, so flu is incredibly easy to share. Did you know that tamiflu can be used to help prevent the flu if someone in your home has the flu? It is not only indicated for treatment, but you can also take it to prevent catching the flu if you are in close contact with someone who has it. While tamilfu won’t cure the flu for those who have it, it can help lessen symptoms and help make the patient less contagious to others. If you experience flu symptoms, head to our Complete Health Partners Urgent Care/Walk in Clinic to get appropriately diagnosed and treated. Located by the old log cabin in front of Costco on Charlotte Pike, we offer urgent and walk in care 7 days a week from 9am-7pm. With our new online check in, you can select a time that works for you and get seen on your schedule. Offering both urgent care & primary care services to patients from Bellevue to downtown Nashville and from the Gulch to Kingston Springs – we are Nashville’s partner in complete health. We are locally owned and operated by ER physicians and pride ourselves on expert care, given efficiently!